As an architect, part of what I regularly do is go around seeing what is not there. Another way of putting that is, because we are trained to visualize, and anticipate the consequences for any course of action, we tend to “see” what others don’t see. That’s also another way one might describe what it means to gain insights. 1. How to create an environment within which insights are most likely to occur? 2. How to recognize and then grasp them? 3. How to nourish their development and, if necessary, defend them while in that process? These are among the questions to which research psychologist Gary Klein responds with a series of brilliant insights in his latest book, Seeing What Others Don’t: The Remarkable Ways We Gain Insights. While both are needed, reducing errors alone will only get you so far. Much more can be gained by learning how to increase insight. How we can foster insight in ourselves, others and organizations. 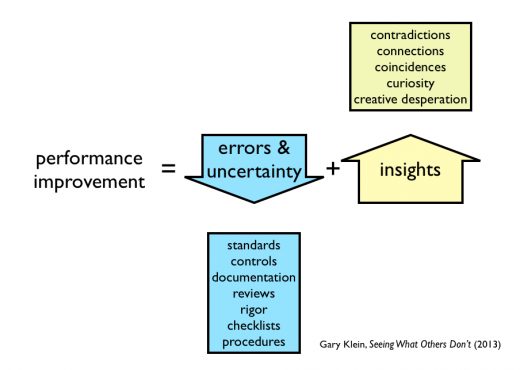 Klein’s book provides an effective look at how we go about arriving at insights. Probably the biggest revelation for me is where Klein notes that the traditional view of how insights are gained – via preparation, incubation, illumination and verification – is inaccurate. verification—demonstrating that the insight is correct. In lieu of the traditional approach, Klein collects 120 cases and studies how they lead to insights. Creative Desperation: unexpectedly resolving a problem that seems unsolvable; doing something when we are trapped and can find no clear answer. The remainder of the book is devoted what interferes with insights, including stupidity, design, and organizational factors. 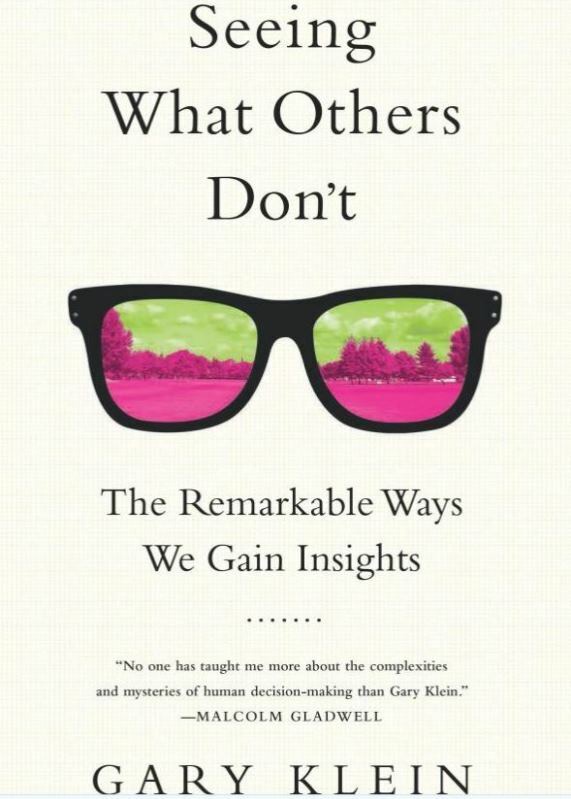 I highly recommend Gary Klein’s book, Seeing What Others Don’t: The Remarkable Ways We Gain Insights. ← What is a Strategist? Thanks for sharing! A good review, sounds like a book worth reading!